Nex Flow™ Ring Vac™ air operated conveyors come in a variety of sizes,materials, and configurations. Anodized aluminum versions from ½” to 3” standard size (and larger for special applications on request) are used to convey all sorts of materials over large distances, both vertical and horizontal. 304 stainless and 316L stainless versions are used for food grade and pharmaceutical applications and for use in high temperature and corrosive environments. As these units do use a significant amount of compressed air, they are best applied where the air is available and in particular, intermittent use applications. Some applications only require low pressure to operate, minimizing air use. The Ring Vac™ consists of a body, a generator (which creates the venturi effect), and a cap. The unit can be dismantled and easily cleaned if necessary. Common applications include hopper loading (resin in the plastic industry, bottle caps in bottling), material conveying of all sorts, waste and trim removal, transferring parts from one location to another, chip removal, tensioning fiber, and in filling operations. The regular Nex Flow™ Ring Vac™ air operated conveyors can be clamped to standard pipe and hose. Threaded versions can be threaded onto regular threaded pipe sizes. 316L stainless Nex Flow™ Ring Vac™ units with sanitary flanges are available for sanitary systems. The actual rate material is conveyed is governed by the size, the mass, and the shape of the part to be moved along with the height, length, and number of bends in the system. Nex Flow™ personnel and their trained application engineers worldwide can assist in determining the best size. One special version of the air operated conveyor is the XSPC pneumatic conveyor. This unit is specially designed to convey materials which might clog the system. One example is conveying bunched up textiles which can clump together and get stuck in a regular Ring Vac™ system. The XSPC can convey such material without clogging. 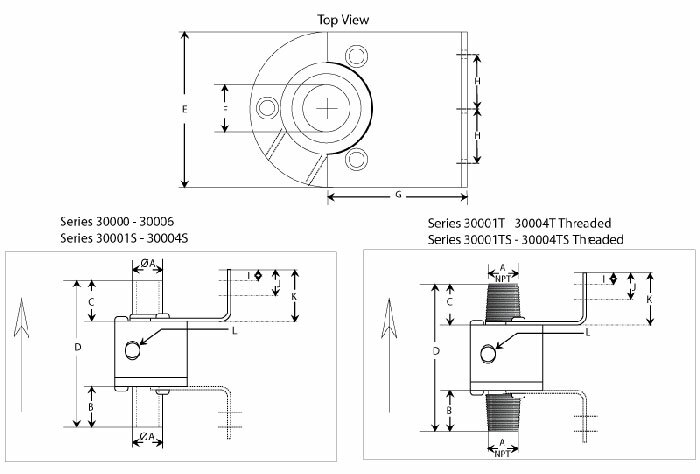 The data required to help choose the correct model are as follows: the diameter or maximum dimensions of the part to be conveyed, the diameter of the hose or pipe used to convey the material (if already chosen), the weight or volume rate of conveying desired, and the material of the Ring Vac™ . Special Nex Flow™ Ring Vac™ units can be made to retrofit existing machinery. As mentioned, there are units available in 316L stainless steel with sanitary flanges. Other styles of flanged units can be manufactured in all sorts of material. For example, special Ring Vac™ units, flanged, were made of Teflon for an application where corrosive gases had to be vented in a scrubber application. Apart from the Ring Vac™ units and the XSPC version, Nex Flow™ produces some special products which utilize this technology: the Blind Hole cleaning system, the Drum Angel drum pump, and the X-stream™ Hand Vac™. Ring-Vac™ compressed air conveying system – Compressed air enters at point (A) into an annular plenum chamber and is injected into the throat of the unit though directed nozzles. 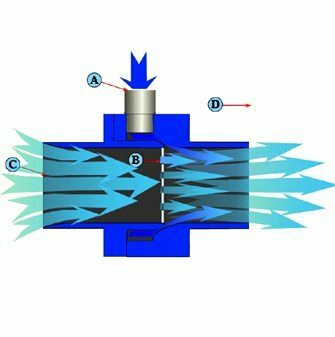 These jets of compressed air create a vacuum at the inlet (C) which draws in material and accelerates it through the unit and out at (D) conveying the material over a great vertical or horizontal distance. Special materials can be utilized for unique applications. If greater conveying force is required the conveying “generator” can be machined for higher capacities. 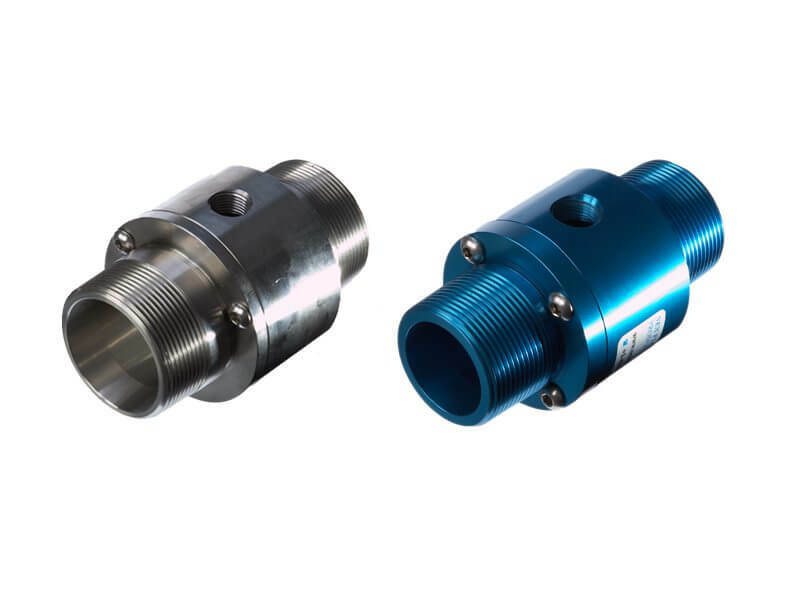 BSP adaptors supplied upon request free of charge.